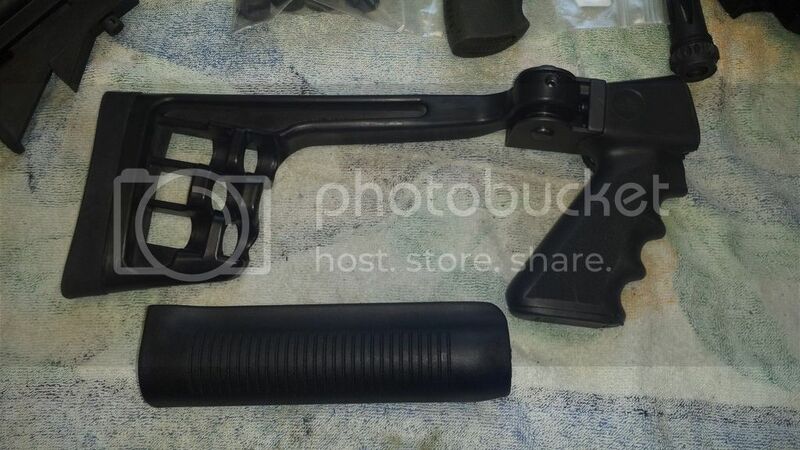 Folding pistol grip stock and forearm, stock stores 3 rounds. This is a Butler Creek stock and it does clear the ejection port when folded. 65.00 shipped usps. Payment, usps mo. Please post I'll take it and send an IM. Who makes this? When folded, is the ejection port clear so the gun will fucntion?